On the eve of the Democratic convention in Charlotte, and just post the Republicans’ gathering in Tampa, and only a couple of months before we’re required to cast votes for everything from President on down, I recommend a couple of good reads, for distinctly different reasons. You’ll know Martha Burk, recently vindicated in her efforts to get women into the membership at the Augusta National Golf Club. Back in 2003, reacting to death threats, Martha wore a bullet-proof vest and was bracketed by body guards when she spoke publicly, spearheading the campaign. While she is quick to share the credit, the invitations to Condoleeza Rice and Darla Moore this summer accrue to Martha’s political heft. She was then Chair of the National Council of Women’s Organizations–and still directs its Corporate Accountability Project. 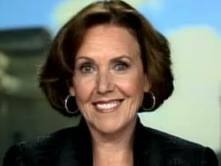 Joan Walsh is my favorite television expert. Holding forth on many of MSNBC’s programs and also Editor-at-Large at Salon.com, Walsh can always be counted on for smart, reasonable comment on the often outrageous rumble-and-tumble of cable news. Her new book, What’s the Matter with White People: Why We Long for a Golden Age That Never Was does an excellent job of explaining why we’re all so mad. It’s a great interpretation of at least some of the bellicosity in our country as we try to elect a president.